For the serial usb driver I am using Profilic PL2303 for Windows. My device has a led blinking blue every 4 seconds or so, so the device power is working correctly. Did anyone achieve this setup? I tried switching the programming ports also but did not change anything. 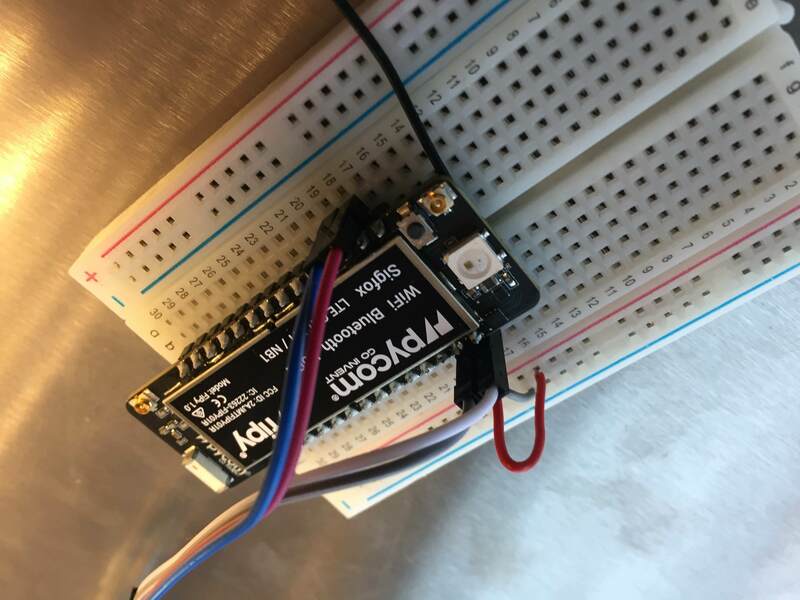 @robert-hh Did you manage to do something like this using a Raspberry PI or similar to communicate with the serial port? I tried this also with same results. I find serial com /dev/ttyAMA0 but if I try to write to it my terminal freezes up. @jonaswg The blue LED tells, that the FiPy is working. Take care to set the voltage for Tx/Rx to 3.3V. 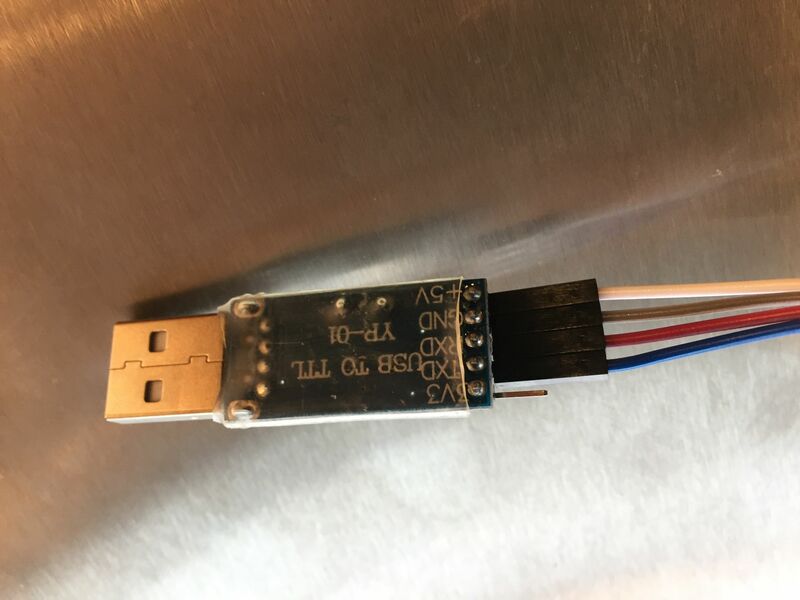 You may also supply the FiPy from the 3.3V pin of your USB/Serial Adapter into the Vin Pin of FiPy. And, as always, try to swap Tx and Rx.